Frankly speaking, fish ball noodle had never been in my mind for any meals unless I run out of ideas of what to eat. 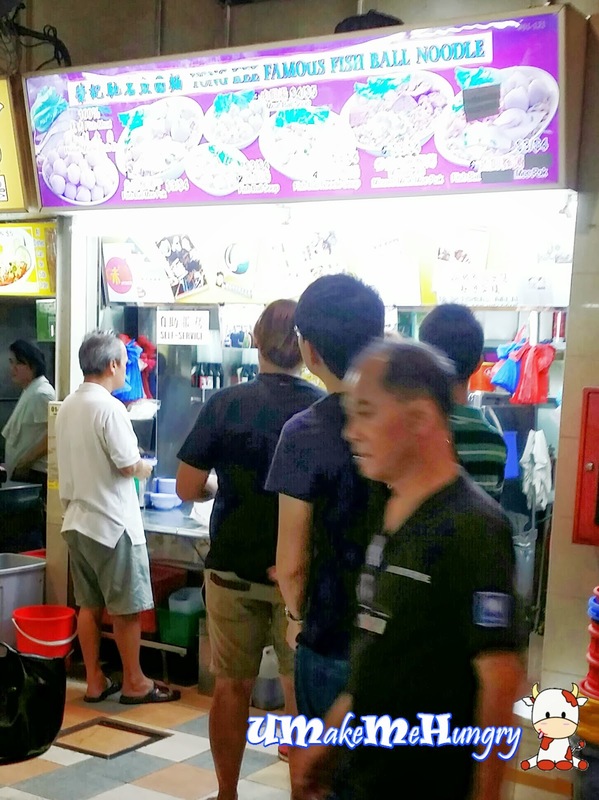 And just over dinner, my colleague strongly avocate that we "die die" have to try this famous fish ball noodle despite that each of us was already packed with our main dishes for dinner. After trying the noodles, I finally realize what his rave was all about through the whole of our dinner. Mee Kia used was different and whiter in color and did not have any scent of the "ki" and of course its noodle was "Q" and tasty especially with the old school kind of chilli used together with the used of vinegar. Not only that, these fresh balls were extremely soft and bouncy. I was told that they were freshly made by Yong Kee. If you asked if they were worth the while to queue, my reply is a definite yes to you.